Doranix offers a wide assortment of customizable features on all its printers. Below we will cover some of the functionality and customization options available with focus on our flagship product the Thermaprint 64. Easy of Use – Direct-to-Package Label Printing Systems with heavy-duty industrial design. This series features increased connectivity (USB & Ethernet) allowing interface flexibility and ease of networking. Incredibly Clarity – Near-Edge 305 DPI, High Speed Printhead and rugged Print Mechanism are retained as is the Ribbon Saving Mechanism (which reduces ribbon consumption up to 90%). Functional Design and Durability – The ThermaPrint 64 Series Printing Systems is powered by 4 – 6 motors dependent on configuration. A custom Collection Magazine is adequate for most applications; a Powered Stacker provides additional capacity for larger production runs and for precise stacking of packaging such as small Lids or Cards. Great for Industrial Applications – The ThermaPrint 64 may be configured as a Roll-to- Sheet (Lid) Printing System by integration of an industrial Cutter and Roll Feed Module. To see what kind of customization is available for the Doranix Thermaprint 64, please refer to the below sections. 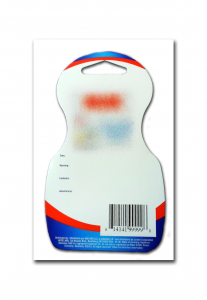 Apparel hang tags allow you to customize any information your customers see on your products. 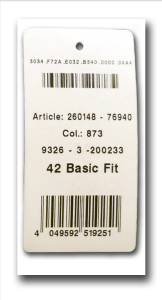 The Thermaprint 64 provide functional apparel tag printing capabilities. Tags can be pre-cut on the roll. Roll tags can be printed and then automatically cut to the correct size. Pre-cut tags, or singles, are easily printed in the ThermaPrint 64 with some customization to suit each particular tag type. A powerstacker is also available for the Thermaprint 64 allowing for faster loading of printing material. The stacker allows for a stack of pouches 10 inches high. A barcode printer is a device that is designed to produce barcode labels. These labels can be attached to products or any other objects that require sorting or tracking. Barcode printers utilize direct or thermal transfer methods to apply ink to labels. Ink ribbons are used to generate and apply the barcode upon the label, while a thermal printing unit uses heat to blacken the barcode on the label. The Thermaprint 64 also functions as a Unique Device Identification System, which you can learn more about in our UDI guide. Blister cards are a common form of blister packaging. Blister cards can work as single cards or be used in conjunction with other variations of packaging like front & back card combinations or even fold-over cards. For single cards the blister is securely sealed on the card using heat sealing. Blister cards can also be trapped between the back and front cards which can then be bonded or folded first before bonding. Blister card printing of up to 10″ wide blister cards can be done using ThermaPrint64. Various thickness are also supported ~0.040″ being the thickest standard card. 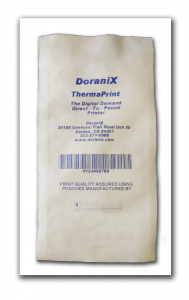 The ThermaPrint 64 was specifically designed for medical Tyvek printing. Whether making custom printed Tyvek pouches or Tyvek lids, the ThermaPrint 64 can achieve good quality at fast speeds. Typically, Tyvek can be printed at 4-8 inches per second. Tyvek pouch printers also comes with a powerstacker and a catch tray. Made from 100% Tyvek paper, the Thermaprint 64 can print wristbands for any occasion. These are are durable and designed for one time use, built to be tear-resistant, waterproof and comfortable. Food and beverage labels are required to follow strict regulations. One of the most important of those is labeling. Products need to include labels explaining the ingredients and any other vital information. Labels will often include, ingredients, bar code, company info, net weight and branding. 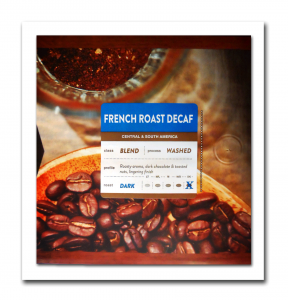 Doranix’s line of printers can help you print quality labels on your coffee bags and make sure your customers can see exactly what the product contains.